Parties or meetings - fashion accessories are much required complements to your chosen attires. 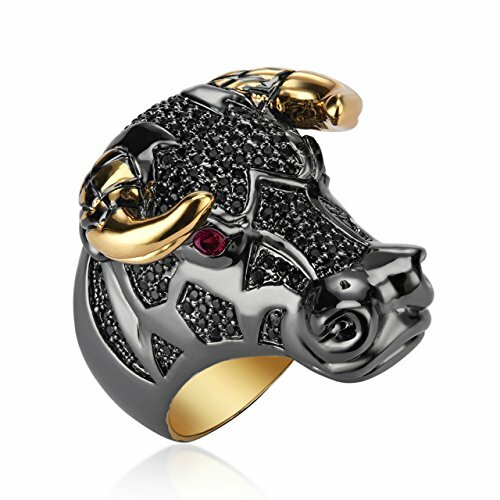 The shaze black-coloured Taurean Charm Ring for Women has been designed with the bull's head. The horns of the bull have been highlighted with golden accents. The ring could be worn with formals and semi-formal wears for a premium fashionable look.